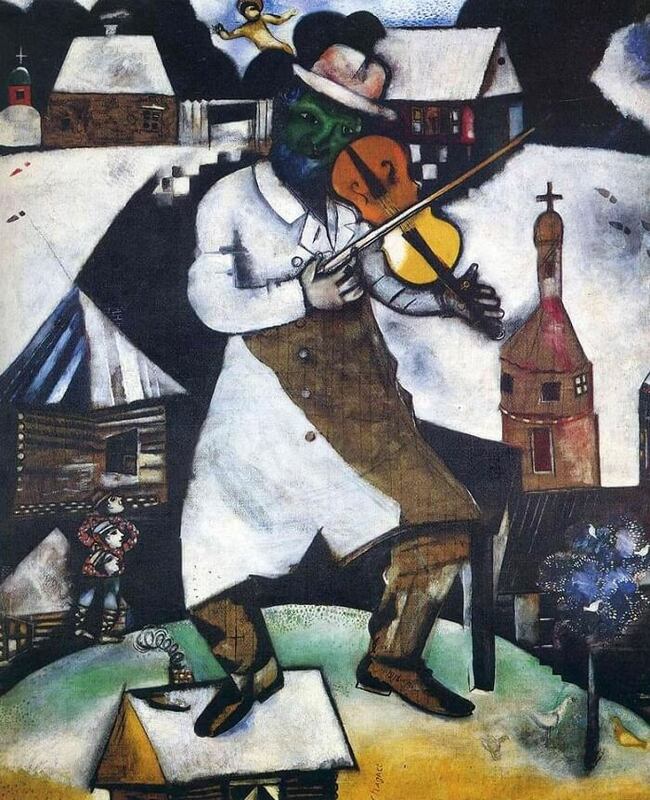 Marc Chagall's The Fiddler is an oil painting completed in 1913 while the artist was established in France. 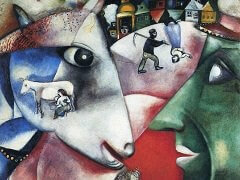 The quasi-cubist painting illustrates a combination of Russian and French art. 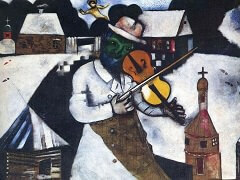 Executed in a high contrast colors, the painting is a representation of a fiddler in Chagall's village, Vitebsk. The fiddlers itself is merely a singer creating music for the cross points of life of every man starting with the birth, the wedding and the death. 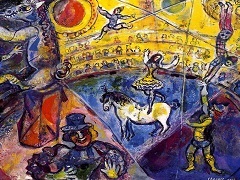 Using contrasting colors, the artist focuses of creating a visual image of internal battle of the average individual during his lifetime using the fiddler as the key symbolic element. 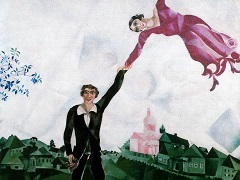 In The Fiddler Chagall evoked his homeland. 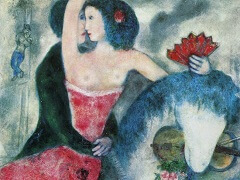 The artist's nostalgia for his own work was another impetus in creating this painting. His cultural and religious legacy is illuminated by the figure of the violinist dancing in a rustic village. 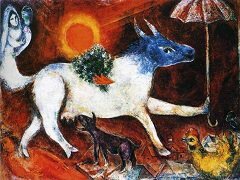 The Chabad Hasidim of Chagall's childhood believed it possible to achieve communion with God through music and dance, and the fiddler was a vital presence in ceremonies and festivals.